An A4 booklet published in May 2015; Maisemore Gardens, the Early Years was originally the brainchild of Judy Reay. She lived at 12 Maisemore Gardens from 1972 to 2015 and was a meticulous Company Secretary of Maisemore Gardens Limited for a number of years. As keeper of the records she delved into the past and uncovered all the information on how Maisemore Gardens Ltd came into being from 1962 to 1968. 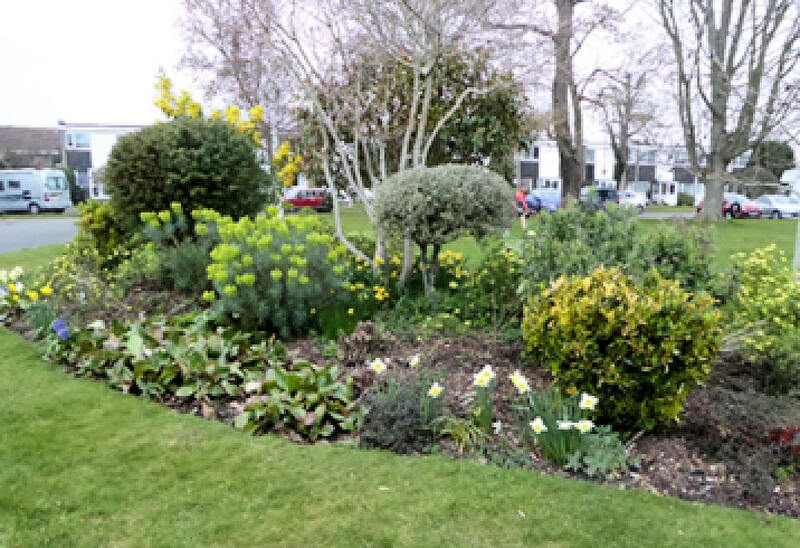 Initially the building firm, Harleymade Homes Ltd, held the freehold of the estate but this was eventually transferred so that by the late sixties every property owner here held one share in Maisemore Gardens Ltd which now owns the freehold. Judy charted this history for us, and her research is the heart of this publication. Thus our garden estate has become one of the few areas of the country where there is a true community at work to ensure that the character and maintenance of Maisemore is to the benefit of all its residents. Our community matters are administered by a Council of Management manned by seven volunteers who save residents significant sums every year by ensuring that communal land and affairs are overseen democratically and to the benefit of all who live here. Judy Reay loved Maisemore Gardens and this publication is dedicated to her. It was her last wish to return here for the few weeks before she died in January 2015. She spent her last months checking and re-checking her proof and was confident that it was accurate and exactly as she wanted it. During her very last days she was most anxious to ensure that this document would be published. We have not changed her work in any way and we pay tribute to her unstinting research and determination. Judy's research is on page 13 to 24. Other sections have been written with the help of volunteers from the Emsworth Maritime & Historical Trust (EMHT), notably Margaret Rogers.